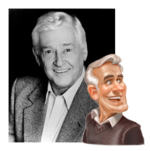 Alan Young became the voice of Jack in 1994. Since then, Jack has married Joanne Allen and become the owner of J & J Antiques. He recently appeared in “Home Again” in album 56. Don’t miss the latest edition of the podcast filled with insights from one of the show’s favorite actors!